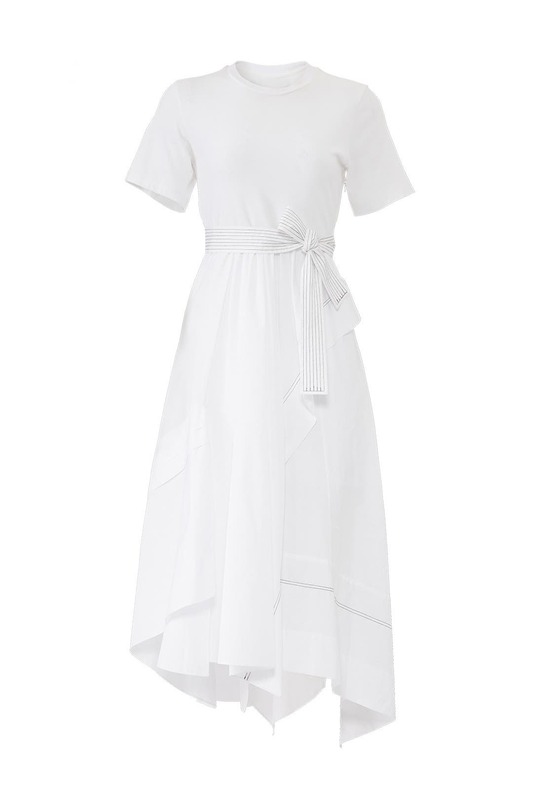 A perfect combo of casual yet elevated, this 3.1 Phillip Lim midi dress moves beautifully with every step. Sized: 0-22, one length available. Regular measures 48" from front neckline to hemline. White cotton poplin (100% Cotton). Hourglass. Short sleeves. Crew neckline. Hidden side zipper closure. Partially lined. 48" from front neckline to hemline. Imported. 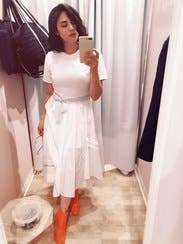 The bottom skirt was gorgeous on the hanger but the t-shirt look on top was quite unflattering. I tried it on (with the tag still on) and had to return. Has an interesting shape and super comfortable to wear. Really loved this piece. 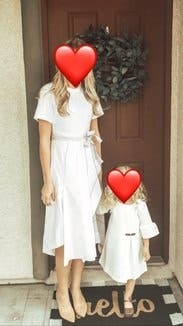 White is hard to wear and hard to keep clean but it always is amazing to wear. I wore it with a leather jacket. The T-shirt top was a little right around the chest for me (34C) but with the jacket it wasn't too noticeable. I love the designer's eye for draping and he is always great at flattering a woman's natural shape. Many body types can wear his clothes. My only complaint on this one is that it wrinkled easily where most of his other stuff doesn't. Love love love this look. A whimsical dress that when paired with heals would be prefect for a gallery opening, when paired with flats or Toms, is great for a casual night out or a luncheon. Fun to wear. I wore this to work and got more compliments than I ever have. It fit really well on my frame -- I guess I'd be considered closer to athletic than anything else, and this gave me a great shape. It was super comfortable too. No regrets! I'll probably rent it again for the spring. 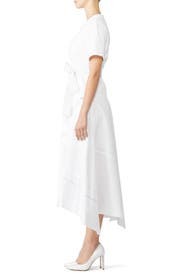 This dress is darling from the belted waist down -- it feels and drapes like you grabbed a very decent cotton bed sheet and fashioned it into a skirt, not in a bad way. 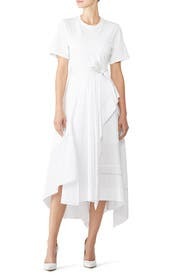 Think Ariel the mermaid when she washes ashore and fashions a ripped sail into a dress. 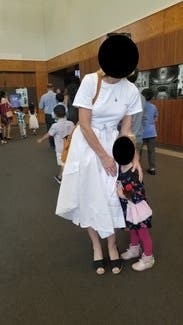 The top half is less interesting -- it's a thick white T-shirt, the end. 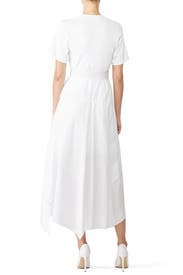 The sleeves are a bit long and the neck is a bit high -- a slightly more tailored shirt, with a little less coverage, would be cuter, and feel less like the free shirt you got for participating in a 5K. Redeem the skirt portion by hiding the shirt portion; wear it with a cropped jacket and it's a spring winner. Did not wear it as it was stained. Overall a nice dress, though the sleeves are an awkward length and didn't fit me right.